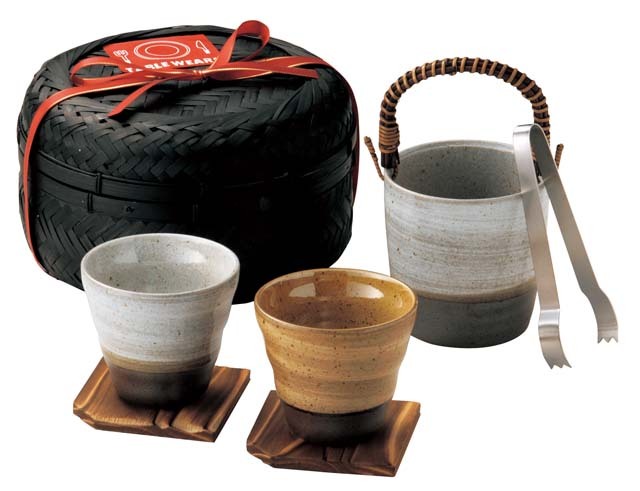 This is pair of Japanese pottery sake cups, wooden coasters with an ice bucket, ice tongs and a bamboo box. Ideal item for a wedding gift, birthday gift, etc. Great value.